I am a National Academy of Sports Medicine ( NASM) Certified Personal Trainer and Weight Loss Specialist (WLS). I maintain several other fitness certifications and/or continuing education in group exercise, nutrition, self-defense, as well as many other fitness modalities. I am a member of the American College of Sports Medicine and certified CPR/AED/FIRST AID through the American Red Cross. As a certified Weight Loss Specialist through NASM, I believe in weight management solutions using a lifestyle change approach. I do not sell or promote weight loss supplements or shakes. I promote healthy eating and physical activity as the approach to achieving and maintaining a healthy weight. I am presently employed by Premise Health as a full-time Health Fitness Specialist. Premise Health, is the newest name in onsite healthcare and was formed as a result of two industry pioneers – Take Care Employer Solutions and CHS Health Services – coming together. Premise Health manages more than 500 worksite-based health and wellness centers across the country. The company serves more than 200 of the nation’s leading employers, including a significant number of the Fortune 1000. I am a full time fitness center staff member at Pitney Bowes Inc. - an American provider of global eCommerce solutions, shipping and mailing products, location intelligence, customer engagement and customer information management solutions. My position allows me to help individuals achieve their fitness goals through personal fitness training and weight management coaching. 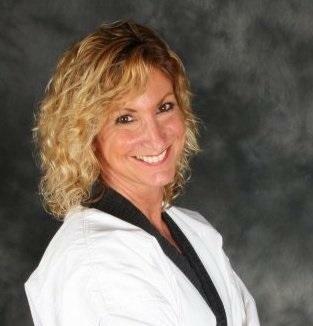 I teach a variety of group exercise classes but my specialty is teaching heavy bag kickboxing. I am also a third degree black belt in Tae Kwon Do and teach self defense to all ages focusing on awareness, safety and the importance of general fitness. Why I prefer to Kickbox Barefoot!